The term fractal is mostly used to describe objects with particular geometric patterns. Fractals are infinitely complex patterns that are self-similar across different scales. They are used in mathematics, computer programmes, but also present all around us. We can use them to describe the world around us. The term "fractal" was first used by mathematician Benoît Mandelbrot in 1975 to describe self-similar objects without clear dimensions. What is so special about fractals? The smallest patterns in fractals have the same structure as the whole fractal. This recursive replication of exactly the same pattern at every scale is called a self-similar pattern. If we apply this to humans a new space for possibilities opens - by changing one part of our being we change our whole being. Drawing fractals and coloring them reveals to us the power colors have on our lives. Fractal drawing is a form of art therapy. It is a very simple technique that opens an infinite area of possibilities and changes, balancing the vibration – “Everything is possible.” A true transformation – relaxation, indulgence, increase in self-esteem and self-respect comes through playful contemplative state of mind. While drawing we enter a stage of complete surrender and present moment. The fractal drawings reveal the present condition of a person and their perception of the world. Line forms (curved, round, square, sharp), the size of areas and colours reveal different information about a persons character, life period, focus, emotions, fields of interest and much more. It is necessary to regularly practice this technique to use the full potential of this type of therapy. Anyone, regardless of age, education or drawing experience, can draw fractals. To draw fractal we need to put a white sheet of paper in front of us, take a pen, place it on the paper, close our eyes and begin drawing lines. After we have drawn the lines, we colour areas according to some rules. Tanzilia Polujahtova is the author of drawing fractals as a form of art therapy. Martina Kosec, art professor and manager at the Full Potential Centre, introduced the technique in Croatia. Martina has dedicated her time and energy to spreading and developing the fractal drawing method and holds regular workshops. 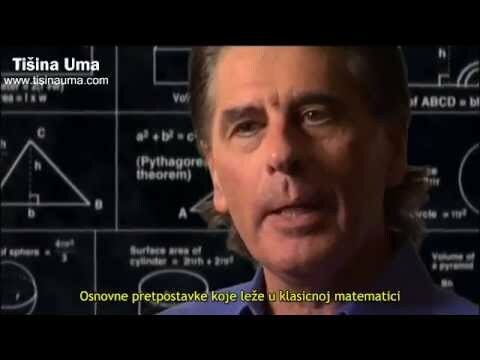 Full Potential Centre has also published the Croatian translation of the book ”Original fractal wisdom”. For the workshop you will need a set of coloured pencils containing 24 colours or a set of minimum these colours: red, black, orange, yellow, beige, dark brown, light brown, dark blue, light blue, green, purple, grey, pink. This fundamental course will not suffice for teaching fractal drawings. Colour your life, let colourful energy waves inspire and motivate. Be happy and indulge! Colour your life, let colourful energy waves inspire and motivate. Be happy and indulge! Zagreb: 02. - 03.06.2015. i 20.06.2015.